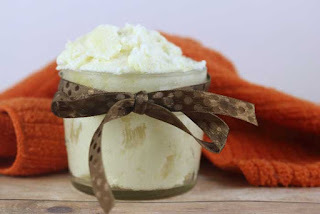 This whipped chocolate body butter recipe is perfect for dry skin! 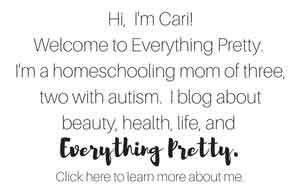 If my readers only take one thing with them after reading my blog, I hope it's that you don't have to be perfect to be beautiful. Beauty comes from within, and when you are confident, your natural beauty shines through. We've all got things that try to beat down our confidence. It could be a facial feature, a part of your body, or something that's happening in your life. When we focus on the negative aspects of our bodies or our lives, it stops the positive from radiating through. Keep reading to see how I stay confident no matter what's going on in my life and get a recipe for chocolate body butter that smells as yummy as it looks. When you read blogs or social media posts on the Internet, it always seems like everyone is so happy and their lives are perfect. Trust me, this is not the case. 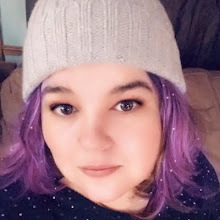 When I started this blog, I was so hesitant to post photos of myself because I have flaws, just like everyone does. I need to lose a few pounds. My pores are huge. And my eyebrow is doing some funky thing that I don't like. But you know what? I'm still beautiful. That beauty comes from within because I know that I strive every day to be the best person that I can be. I help people by volunteering in my community. I give everything that I have to my kids. 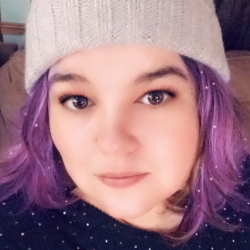 I work hard every day to be a great wife, keep a comfortable home, and I built a small business from nothing to something that's becoming quite amazing. As for the things that try to break my confidence, I do my best to ignore them or cover them. I'm working on losing weight, and that's a big confidence boost as my clothes get baggier. I've found a great skin care system to reduce my pore size. As for the funky eyebrow thing, well I've started accepting it as something that I can't change. I also feel better when I take care of myself. 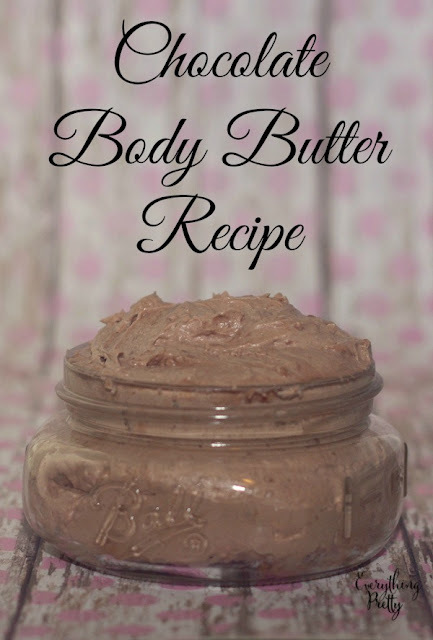 I make things like this whipped chocolate body butter recipe to take care of my skin naturally. 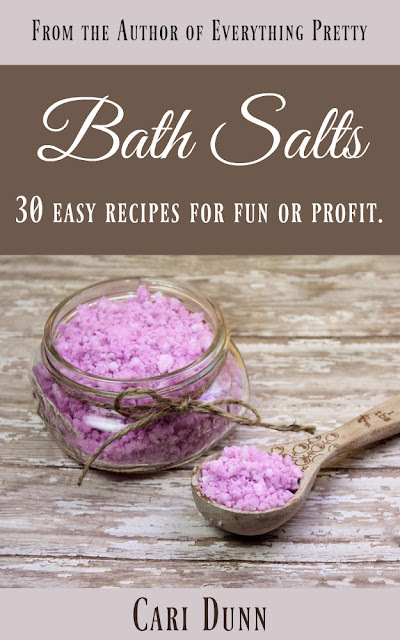 It uses real cocoa powder for the delicious scent, and cocoa has a lot of skin benefits. It's full of antioxidants and moisturizes your skin, which makes my skin glow. This light lotion helps combat dry skin, so it's perfect for your hands, feet, and body. Although the chocolate gives it a rich brown color, it won't stain your skin. Melt cocoa butter, coconut oil, and beeswax in a double boiler. I placed a smaller saucepan inside a larger saucepan to create a double boiler. 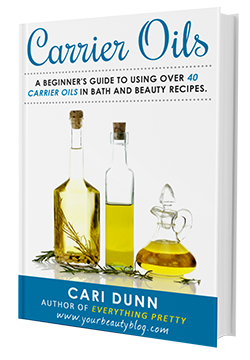 It's very important not to heat the oils over direct heat, so always use a double boiler when melting oils. I melted mine on medium heat for about 10 minutes before the beeswax melted. Once it's melted, add the rest of the ingredients and stir well. Then pour in to your mixer bowl or in a metal bowl and place in the fridge for about 45 minutes to an hour. Once the top has hardened but the rest of the lotion is still a liquid, it's ready to whip. If you left it in the fridge too long, just let it warm at room temperature and scrape the bowl well. I used my stand mixer and a whisk attachment, but you can use a hand held mixer. I started on speed 2 and worked my way up to 10. I let it whip my lotion until it was light and fluffy like chocolate frosting, which took about 10 minutes. 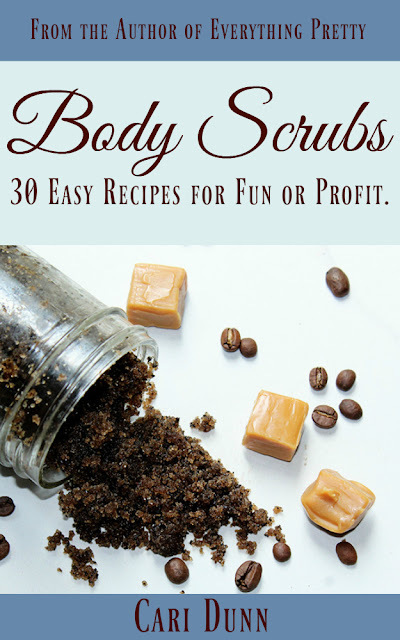 Spoon it in to a container and enjoy the decadent fragrance while it softens your skin. This works great for your hands, arms, legs, and feet, but don't use it on your face because it can clog pores.